Lewis Hamilton finished one place ahead of his teammate, picking up a handy points haul that he wasn't expecting. 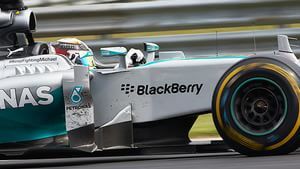 The Brit anticipated Rosberg would run away with his lead after Lewis was forced to start from the pit lane, but in fact the gap has closed slightly. There's no movement towards the top of the standings, however. The only driver to make a jump after the Hungary race is Felipe Massa, who's fifth place finish saw him able to get ahead of Kevin Magnussen. The McLaren driver started from the pit lane, stayed on intermediate tyres slightly too long, and ended up out of the points.